It’s been a week or two before, Google introduced a new phone call feature in Gmail to us as well as “Google Voice” integration to keep track of “missed calls”. This feature allows you to get notifications to Google Voice inbox, e-mail inbox or both the service. It’s a welcome attribute, but as most of the times in the case with new Google applications, this setting is also hidden in the menu somewhere and the official blog post about the feature didn’t clearly explain on its working. But, it is very easy to turn on the missed call notifications in Google Voice inbox and mail inbox, but it’s a little complicated to get the feature working with your “real” mobile number. In this post, I am going to explain how to set up missed call notifications in E-mail Inbox and to your real number. To get the missed call notification on your email for your Google Voice number, log in to Google Voice account and click on “Settings” in the top right corner of the screen. After clicking on it, you will see two options “Voice Settings” and “Google Account Settings”. You have to click on “Voice Settings”. After reaching the “Voice Settings” page, click on “Calls” tab. Now, locate “Missed Calls” section at the very bottom of the page that includes two options. 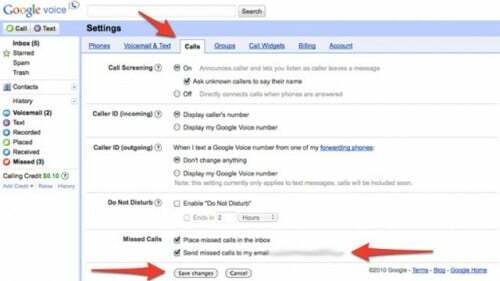 Click on “Place missed calls in the inbox’ option allows you to get missed call notifications at the Voice application website while “Send missed calls to my e-mail” options allows you to get notifications to your attached Google account e-mail address. You can check on any of the option or can click on both the options to get notified in both places. After checking the options, click on “Save changes” button at the bottom. After enabling this option, whenever you miss a call to your Google Voice phone number, you will receive missed call notifications that says ” Missed call from (000) 000-0000 at 11.00 a.m or whatever time is it. We know that Google allows you to make and take calls from Gmail, it is not necessary that you may be always around your phone to see them. 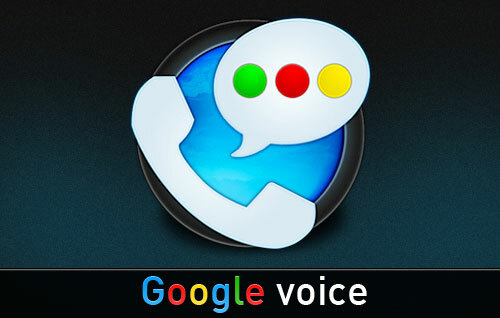 What if you receive missed call notifications of your Google Voice number on your real mobile phone. To receive notifications on your real number, you will have to active Google voicemail for your phone. To activate this feature, click on “Phones” in “Voice Settings” link and find the “Activate Google voicemail on this phone” section. After clicking the above option, a pop-up window will open that includes an activation code. Now, pick up your phone to dial the activation code after confirming your carrier is accurately identified. Hit “Call” or Send” as Google suggests. After enabling this function, in many smartphones, you will receive instant confirmation that multiple forwarding features have been enabled. However, if you did not receive a confirmation, you might want to have someone dial your real number to test it. Now, this feature works same like the rules you set for e-mail or inbox notifications of missed calls to your real phone number, not just to your Google Voice number. If you want to disable this ink, repeat the same process by selecting the “Deactivate Google voicemail on this phone” option.